Nesté-Intern Mari Muoniovaara works on the aviation industry’s low-carbon solutions at Nesté. Her view on the jetplane future might surprise you. New experiences. Encountering cultures. Expanding your own mindset. These are things that certainly many people experience while traveling from one place to another. Whether it is traveling for business or leisure, from one city or country to another. If traveling offers all of this and some even consider it as the ‘salt of the earth’, why should something that makes us so happy be limited? My name is Mari Muoniovaara, a Master’s student at the University of Helsinki with a major in forest sciences. I am currently working as an intern in renewable products at Neste. My team, Neste Aviation Solutions (NAS), focuses on aviation industry’s low-carbon solutions, such as the commercialization of renewable jet fuel. My tasks include marketing and services development within the sector. I have been given responsibility for highly ambitious tasks where I can influence, support and create awareness amongst the traveling public about the importance of making responsible choices now and in the future – including the type of fuel used in aircraft. Our NAS team is small and compact where collaboration over organizational boundaries is made possible by enabling a consistent flow and sharing of information. What I value at Neste and especially in my team, is that as a trainee I am appreciated as much as a regular employee, my personal interests and development is taken into consideration and I can take responsibility as much as I want. Neste as a company, inspires me not only due to its unique responsible position in the world but also because of the company’s continuous development towards sustainable and renewable solutions. Of particular interest is that even though the use of renewable fuels in the aviation industry is just at the beginning and the markets are challenging, Neste already has a solution! Of course, carbon offsets are a partial solution to addressing the problem of aviation carbon emissions, they do not however, directly reduce the environmental impact of aviation at source. It has been estimated that air travel will be doubled in the next 20 years, and if nothing is done, emissions will be twice as high as the current figure. Would people then be willing to reduce their leisure and business travel with the pretext of limiting emissions? I don’t think so. So why shouldn’t we work to ensure that air travel on a sustainable platform becomes the default in – the new normal? There already is a solution that has a meaning and an immediate effect. Challenges still exist with the commercialization of renewable jet fuel such as the high price compared to fossil fuel but in order to proceed, a variety of stakeholders such as the state, airports, airlines and renewable aviation fuel providers should find ways to combine their efforts and work together. One of the pioneers in the field together with Neste is Geneva Airport, with the goal of having at least one percent of the annual jet fuel consumption composed of renewable jet fuel starting late 2018. This is a great example where the aforementioned parties work together to reduce carbon emissions from air travel. Involving other stakeholders such as businesses, consumers and NGOs would be the next step. In this way awareness of renewable alternatives would be increased and, new business and financial models will be developed. It is more profitable to have money being spent on renewables now, so we can avoid re-financing in the future. And who knows, maybe even after this summer, something revolutionary is invented to make a change. My personal commitment is to make responsible choices when flying, and I would be willing to pay extra for my flight in order to protect our shared future – Would you? 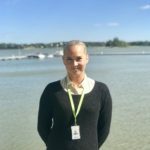 Mari Muoniovaara is a summer trainee working in Aviation Solutions team at Neste’s Espoo office.